Producers might put Burgundy's terroir into bottle, but how should they put it into words? Wine communications scholar Emily Spillmann weighs in. Emily Spillmann turned 21 during a college year abroad in Dijon, France. Is it any wonder she fell in love with Burgundy’s wines? Emily returned to Dijon for graduate study, and at the end of this month will receive her Master’s in International Wine Commerce from Groupe Ecole Supérieure de Commerce de Dijon-Bourgogne. Her two-year program culminated in a six-month marketing internship at Château Genot-Boulanger in Meursault, where she’ll stay on to lead special projects. Emily contacted me after reading an earlier article in my Countdown to Burgundy series. When she mentioned the subject of her Master’s thesis—“communicating terroir”—I had to know more. Q: Tell us a little about your thesis, including the historical context surrounding your inquiry. What key questions are you investigating, and what’s the critical importance of these questions to the region? A: The basic premise for my Master’s thesis, The Codes of Burgundy: What Marketing Opportunities Exist for Burgundian Producers in a Globalized Market?, came from a desire both to understand and to vindicate the subtle Burgundian style of communicating about a product. In our increasingly connected and Photoshopped world, Burgundian producers sometimes get a bad rap as old-fashioned in their reserved approach. 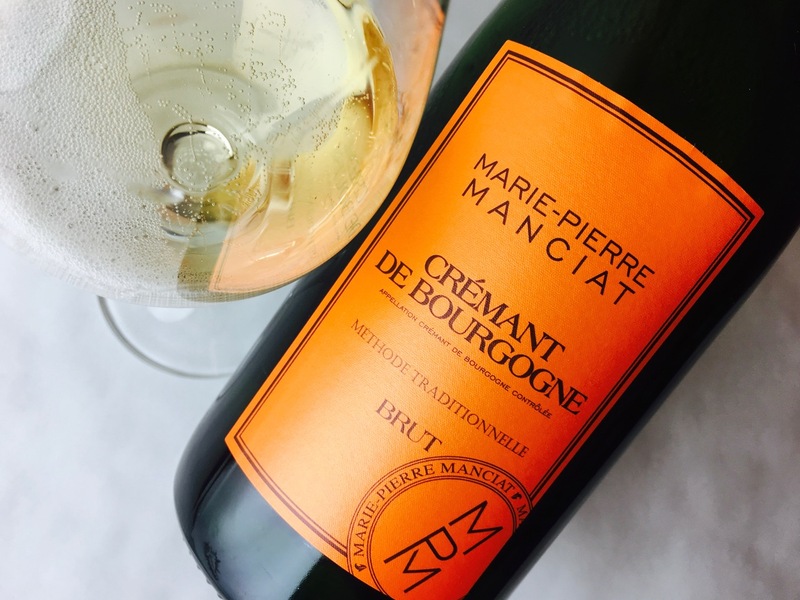 The easy response is that Burgundians don’t worry about seeming old-fashioned, particularly when it comes to their packaging, since their main priority is what’s inside, not outside, the bottle. Having heard this response a number of times, I asked myself if it might be an integral part of the Burgundian communication strategy—this eschewing of any association with the American term “marketing.” I wanted to understand the history behind the insistence on tradition. American history certainly influences our quests for the cutting edge and for constant progress, so what was it that made Burgundians inclined to resist things like flashy labels when they seem to be all the rage? I find these questions of particular importance now as New World wine markets are growing and making their presence known with fabulously creative labels and catchy communication strategies. Burgundy is tiny by comparison with most competing regions (only about 13,500 acres of vines in the Côte d’Or, as opposed to Bordeaux’s 235,000 acres or California’s 515,000), and yet thus far it remains the Mecca of global winemaking. Still, as competition mounts, and as young people are increasingly interested by new regions (a whopping 27% of the wine young Americans drink is imported, but it’s more often from Argentina and Chile than from France these days), how will Burgundy stay on top? Add the problem of Burgundy’s small supply after multiple low-yield vintages, and one has to wonder: From an economic standpoint, how will it even be possible for young people to be introduced to the Burgundian classics, when bottles are rare and prices are high? In my writing, I wanted to show how Burgundians used the authentic attributes of their terroirs to strategically differentiate their product. This differentiation was absolutely essential in the early part of the 20th century, when demand was up for Burgundian wine, but phylloxera, mildew, and black rot had taken their toll. Some producers had begun selling Algerian wine under Burgundian labels to make ends meet, and of course as soon as the vines were healthy again, overproduction became a problem. The region’s wine reputation quickly declined. Quite a few honest producers were determined to save Burgundy, however, and the answer seemed to lie in a return to terroir. Some of the more influential among the producers (Etienne Camuzet, Albert Noirot, the Marquis d’Angerville, Jules Lafon) advocated for the establishment of the AOC laws, which created a strong, regulated framework for a renaissance of the wine culture. To restore Burgundy’s reputation, this revitalization had to be communicated outside the region. Enter La Paulee de Meursault, La Confrerie des Chevaliers du Tastevin, La Saint Vincent Tournante, etc.—festivities more or less based on historical rituals that brought the renown of Burgundy back up to par in an extraordinarily bacchanalian way! Q: How did you become interested in communicating about terroir? Did you find your way to it through wine, through business, or a little bit of both? A: I have to attribute my interest in terroir to a conversation I had one day at Churchill Downs, in Louisville, Kentucky, of all places. I had just returned from studying abroad, and it was that liminal time when I was both glad to be home and still going through reverse culture shock; everything around me seemed unbearably American. At the racetrack, I met a Californian hotshot whose name I would soon forget, but whose opinions have stayed with me. Having heard I was just back from France, he started going on about his own travels abroad, and how he and his wife—although both self-declared connoisseurs of fine wine—had written off France, and especially Burgundy, as a wine tourism destination. The producers didn’t know how to welcome tourists and promote their wine, he said. I barely knew anything about wine at the time, but I immediately felt the urge to defend the few Burgundian producers I had had the pleasure of meeting. This experience may seem to have more to do with supporting the Burgundian people than their terroir, but it was integral to my reflection on the interaction between the earth and the people who cultivate it. I started researching Burgundy wine culture in general, which led me to discover the historical concept of terroir (which has gained multiple nuances since it first appeared in the 17th century). That conversation inspired me to question different forms of communication and, dare I say it, styles of marketing. Burgundy terroir doesn’t speak entirely for itself, after all, and over the centuries there have always been effective, strategic promoters; they’re just not so in-your-face as we’re used to in the States. Q: In your opinion, how do the AOC laws support winemakers trying to communicate about their wines in a global marketplace? How do the laws hinder them? More broadly, how does the notion of regionalism play into the narrative about Burgundy, and how has it contributed to Burgundy’s success? A: Now, there’s a question that doesn’t have a simple answer. The AOC laws, because they are so strict, do support a reliable regional image—and not just in Burgundy, or in wine, for that matter. (The same concept applies to products like Comté cheese, chicken from Bresse, green lentils from Puy, etc.) The emphasis is on the origin more than the producer, which you can see just by looking at most Burgundian wine labels: the appellation name is larger and receives prime real estate by comparison to the domain’s or producer’s name. 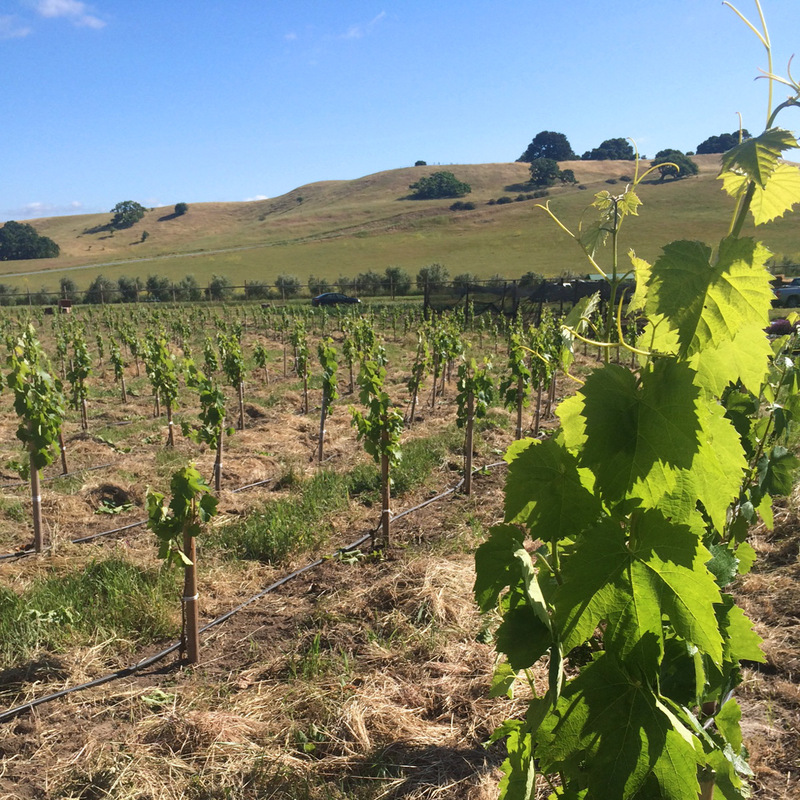 The discourse is more focused on the attributes of certain soils, exposures, and climates than on the choices made by the various producers who cultivate each appellation. The laws are meant to ensure quality and typicity based on each tier of the regional, village, premier cru, grand cru system, so when a consumer walks into a wine store and sees a Puligny Montrachet Premier Cru Les Folatières he or she knows what to expect. The disadvantage is that many consumers count on an appellation’s prestige more than the producer’s reputation, which means that brand loyalty can be a tricky business for some producers (and that lazy producers can profit from the prestige of their appellations, even if their vineyards are blasted with chemicals and machine harvested). The AOC laws also hinder creativity to a certain extent, in the sense that they limit experimentation and promote what Michael Porter called “groupthink”—this is the Burgundian style, this is how it is traditionally accomplished, this is the way it has always been, etc. If you unpack that line of thought, however, you can see that “this” is not the way it’s always been. Innovation, which does exist, is bound by discretion. Here’s an example: 2012 vintage reports by critics are starting to trickle in, many of them attributing the success of the very small harvest (which suffered every sort of climatic abuse, from frost and rot to hail) to the unfaltering qualities of terroir. But what about the unfaltering qualities of the producers, determined as they were to eke out a stellar vintage from half—or sometimes a fourth—of the grapes they should have harvested?! We shouldn’t forget man’s role in shaping terroir. Q: The definition of terroir has so far defied consensus: Ask a dozen winemakers what constitutes “terroir” and you’ll get a dozen different answers. Is such imprecision useful in some way, allowing a region to set its own definition? Or does it hobble wine communicators? A: Originally, terroir was simply associated with certain soils’ propensities for certain grape varieties. Over the years it became not only a word but a concept, one that could be molded to include a variety of contributing factors, from subterranean life to whether the vineyards were ploughed by machine or by horse. Words can always be twisted to suit a certain agenda. I am wary of the overuse of “terroir,” but I think the imprecision can be useful as it is often a source of conversation. Ask a winemaker what terroir means to him and you can learn a lot about his philosophy. Ask enough winemakers, and you develop your own philosophy. Some French winemakers are genuinely perturbed by the increasing use of the word terroir in New World wine regions, and it’s true that sometimes it is used simply as a marketing device, particularly by huge industrial operations that make carbon-copy wine year in and year out and then claim to interpret the best of their terroirs. But we should have a little faith in people’s ability to discern the difference. Maybe someone who picks up a “terroir-driven” bottle of mass-produced $4 wine at the drug store will be intrigued by the term and start his own pursuit to find out what it means. Q: What advice would you give a first-time visitor to Burgundy who wants to refine her understanding of terroir (in one short week)? A: Ask every single person you meet what terroir means to him or her. Read the first two articles in this series, Countdown to Burgundy: Damien Casten Recommends and Countdown to Burgundy: Alice Feiring Recommends.